When it came time for University of Western States to find a new campus, the school had to look no further than its own Northeast Portland back yard. 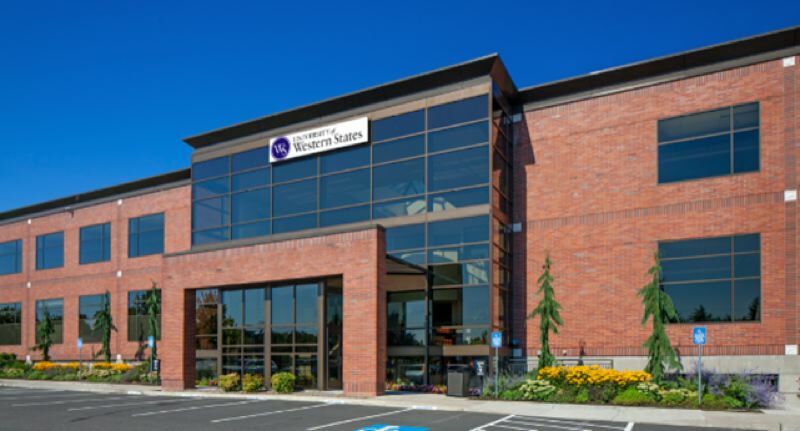 UWS, a leader in chiropractic education and other related health science areas, plans to move from its current location on Northeast 132nd Avenue to a five-acre site that previously served as the home base for Banfield Pet Hospital's corporate offices. The property, at 82nd Avenue and Northeast Tillamook Street, includes a 150,000-square-foot building constructed in 2006 that will allow the school to create modern flexible classrooms while offering plenty of room for offices and meeting spaces for faculty and students. The new location, which is three miles away from the current UWS campus, also will allow a university-run clinic to continue to serve existing clients while offering care to a new population of clients in the Madison South neighborhood. The university has been looking for a new location for its classes and administrative operations since it received the results of an audit that determined the 10 buildings on school's current 20-acre campus needed serious upgrades in order to continue to be able to serve the school and its students. With outdated electrical systems and deteriorating water pipes throughout the campus, school leaders decided it was more cost effective to find a newer building in another location and renovate it to meet the schools' needs. The school's board approved the decision, with a request that the site of a new campus be located in a 10-mile radius of the current campus. With that in mind, UWS leaders put the Northeast 132nd Avenue property on the market in April of last year while they searched for a new home. The current UWS campus property was purchased by Linfield College School of Nursing in November. UWS will stay in its current location, leasing the property from Linfield, through April 2020. Plans calls for UWS to have all operations, faculty and students relocated to the new campus location in early 2020. University of Western States has been in operation for more than 114 years. It currently has 150 on-campus employees and serves 1,200 students, an enrollment the school expects will continue to grow.